.I heard you were looking for me. : Summer's Mine. 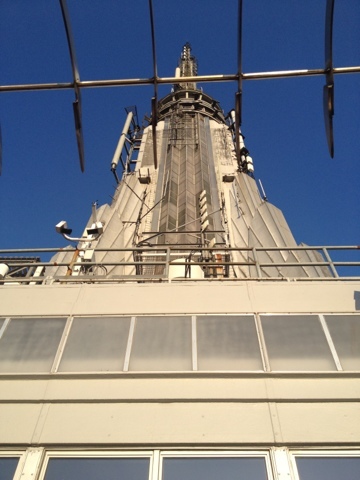 Today after work I decided to go to the top of the Empire State Building. 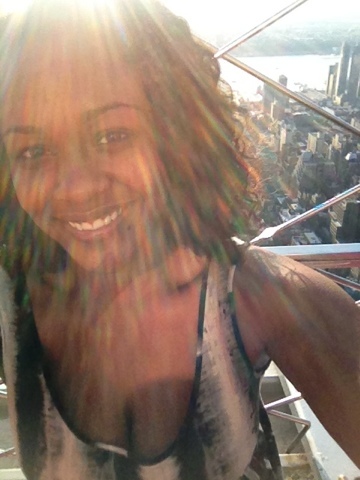 It's 1250 feet high and I was at the very top. 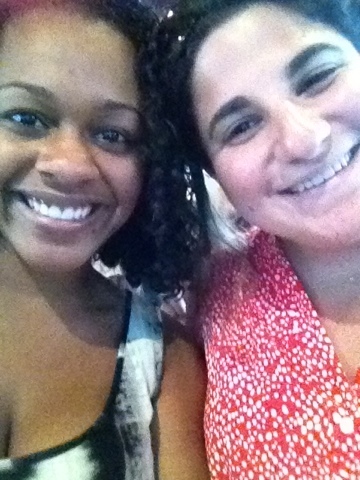 I went with my BFF Katie from work and some others. They are all interns though ha! But it was fun nevertheless. We just walked right in, paid nothing, and waited in no lines. Boss. After I went to this cool Korean BBQ spot close by. Definitely an experience to have! They cook the food right in front of you. The food was yummy and wasn't too heavy. 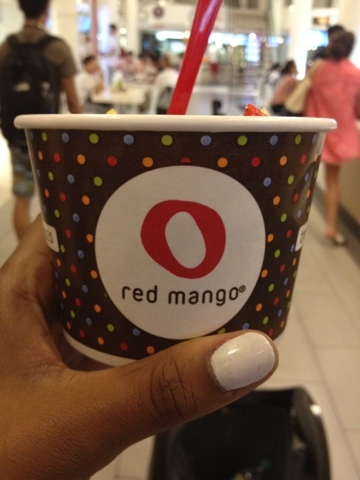 After for dinner I finished the night off with Red Mango. 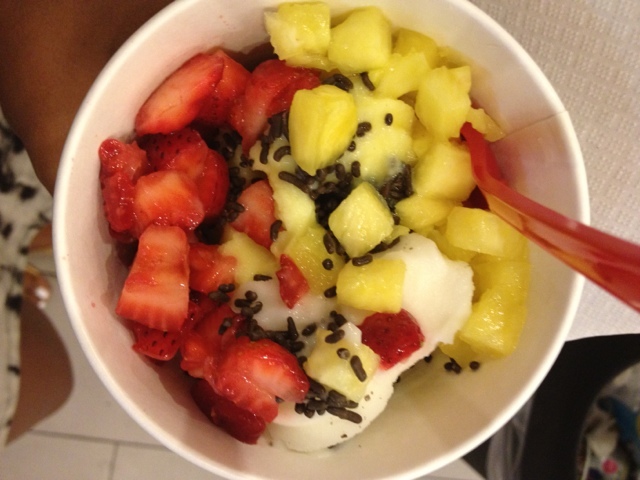 I got mango and coconut flavored yogurt with strawberries, pineapples and chocolate sprinkles. I can't wait to move into the city. I love my city life. Before the year is our, I have to be a resident.